News The Police officer who shot a serving NYSC member is confirmed to be awaiting commencement of trial. The Police officer who shot a serving NYSC member is confirmed to be awaiting commencement of trial. It was previously reported that a lady identified as Miss Igwetu,was shot by a police officer. adding that his claim that the corps member was shouting for help was not sufficient ground to fire his weapon". The lady who was allegedly shot in the early hours of Wednesday around Ceddi Plaza by a police officer, is identified as Miss Igwetu, she was rushed to the Garki Hospital where she finally died. The Police Command said that the command would not condone act of irresponsibility and incivility or outright criminality on the part of officers and men. 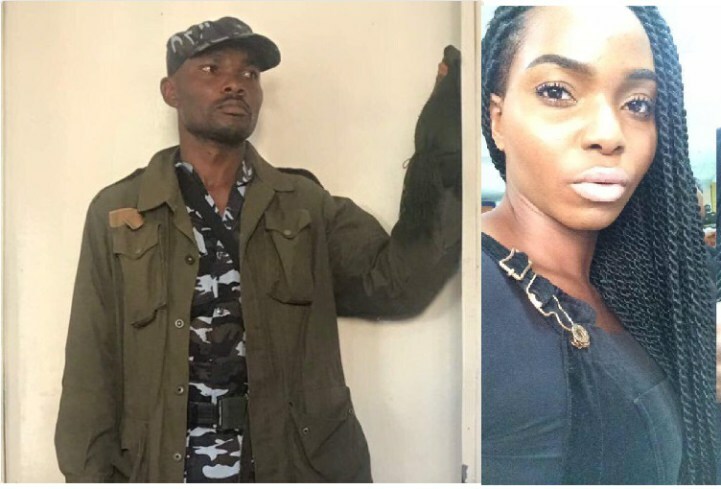 “He (suspect) has been dismissed from the force and arraigned before a court of competent jurisdiction and he is currently on remand awaiting trial,” he said. “It was alleged that the lady, one Angela Igwetu stood up and brought out her head through the sun roof of a Toyota Camry car shouting and calling for help that she was kidnapped,” he said. “They have always been admonished to be civil to members of the public and be professional in the conduct of their duties,” he said. The police commissioner who reassured residents of the territory to go about their lawful businesses without fear of molestation or harassment as their peace and security were guaranteed at all times, appealed for calm and understanding from members of the public and family of the deceased as justice would prevail in the matter. “Furthermore, I wish to reassure residents of FCT that they should go about their lawful businesses without fear of molestation or harassment, their peace and security is guaranteed at all times,” he added.